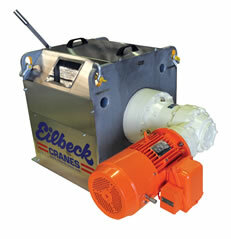 Included in the Winch Control System is a 132kW variable speed drive which controls a 415VAC, 132kW winch motor. 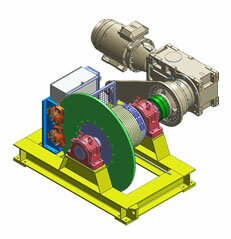 The VSD evaluates signals from the Plant Control System (PCS), field digital devices and a wire rope load cell. 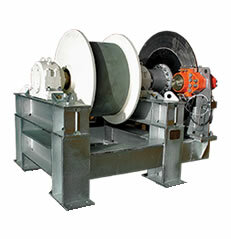 With these signals, the VSD controls the winch motor which in turn hauls in or pays out the wire rope, positioning the shuttle with respect to conveyor position. Whilst using multiple encoders, the system cross checks for transmission accuracy and absolute position of the hauled shuttle. 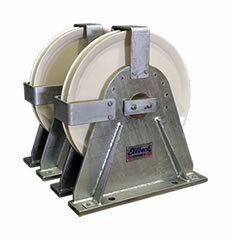 The winch is used to lower gravity mass to ground during conveyor maintenance. 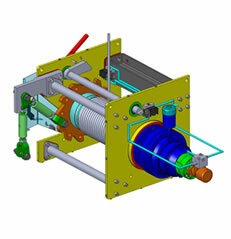 The rope on the Take-up System travels around the sheave on the trolley, up and over the gravity tower and down to the winch at the tower base. 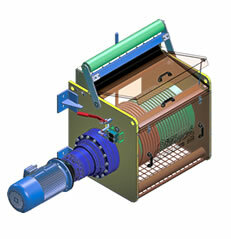 The winch is meant to be used to tension up a conveyor (the conveyor can go regenerative). 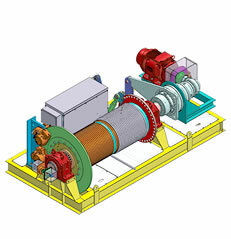 Electro-mechanical disc brake is integral with the motor. Power supply for the motor is 415V, 50Hz 3-phase, 4-wire and earth, derived from a 415V supply with a solidly earthed neutral. 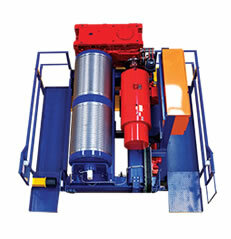 The feed circuits are separately protected for short-circuit, earth leakage and thermal overload.